Ideal for DIY, household & various office, workshop tasks. Useful whilst camping, fishing or other outdoor activities. 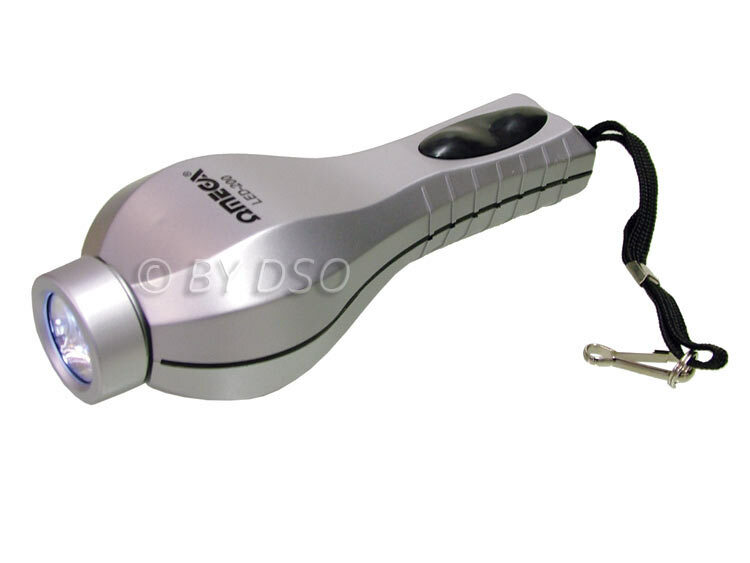 With this torch you don't need to keep buying new batteries or plug in annoying cords. Simply wind up the crank handle and turn on the torch. The mechanism inside is powered by a lithium battery which is recharged by the crank handle. It's ultra bright LED's have dual brightness levels to suit the area you're in. These come in Black or Silver, Please Leave a Note for the colour you require, if no note left we will ship a random colour out.